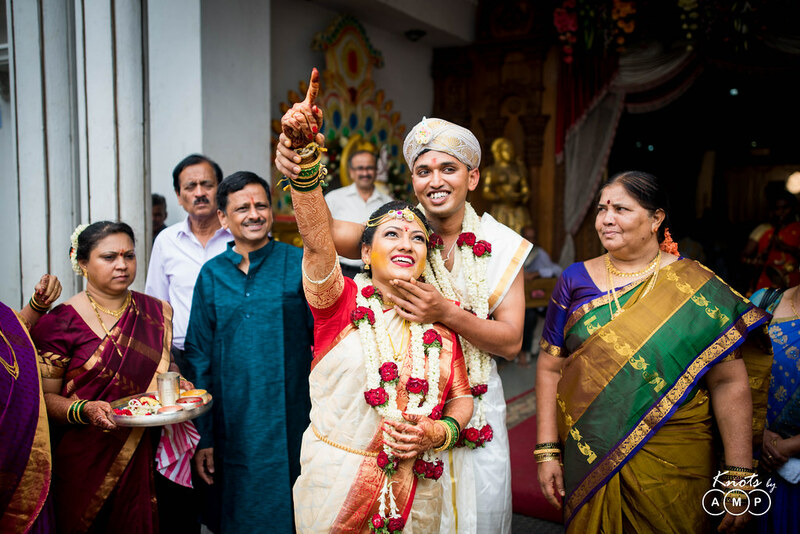 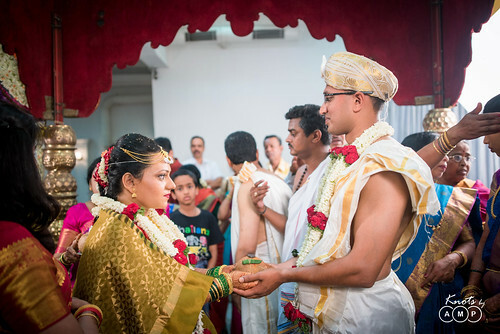 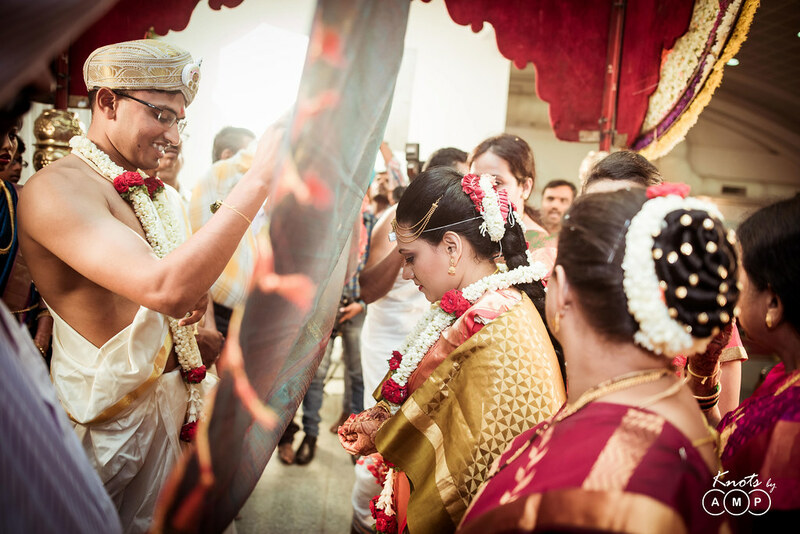 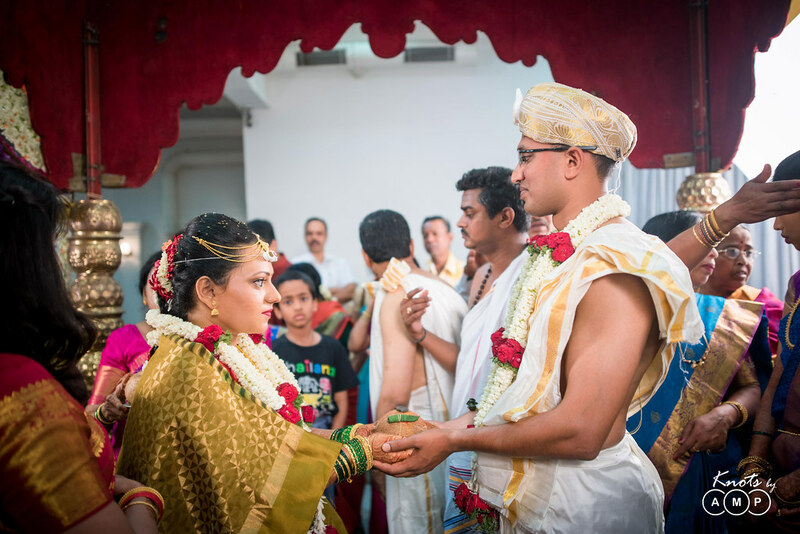 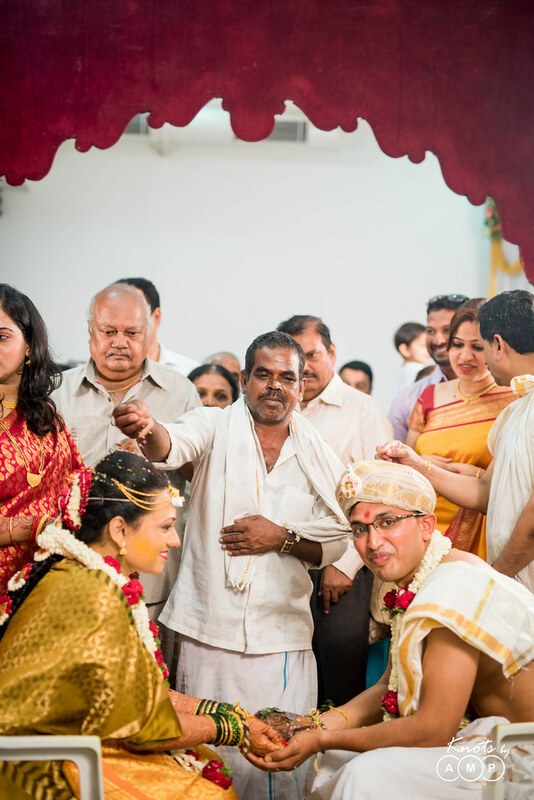 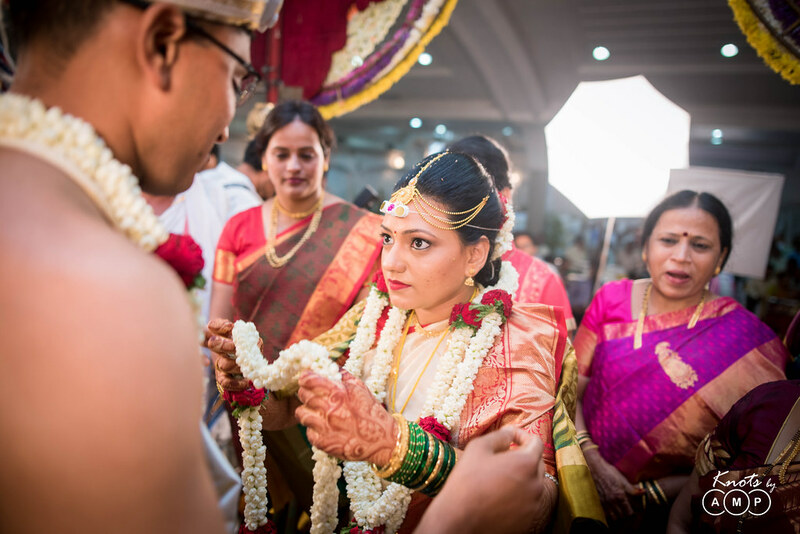 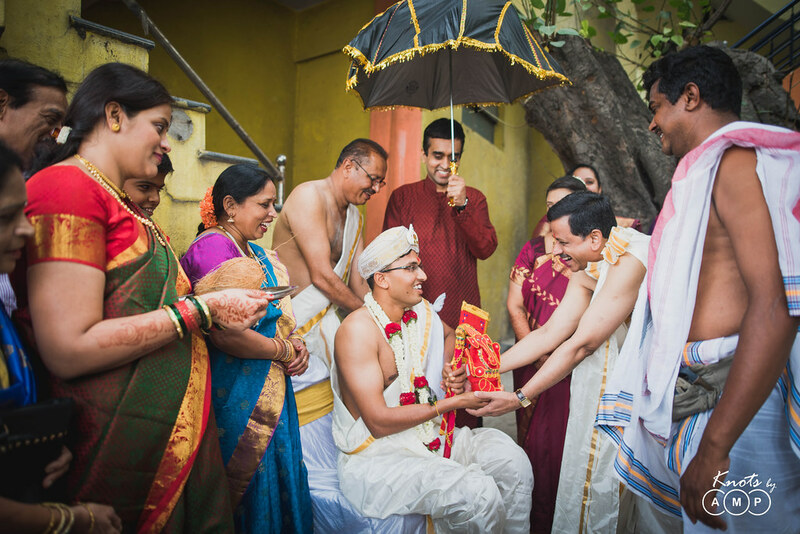 On 16th May, 2016 we covered Jyotika & Ravi’s wedding in Bangalore as a part of a promise which we made when Jyotika won in our Facebook contest for free wedding photography. 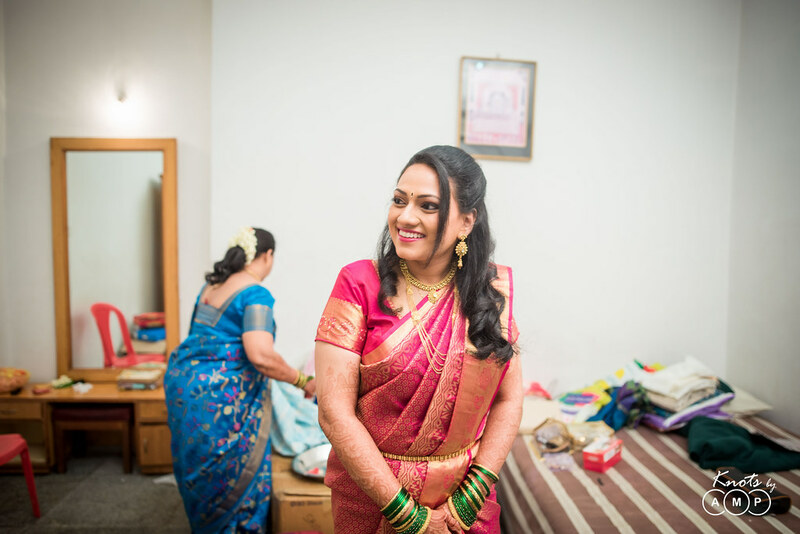 She was super excited and could barely sleep the night she came to know of results. She visited our boutique in Mumbai with lot of excitement which made us realize how our work can make someone so happy. 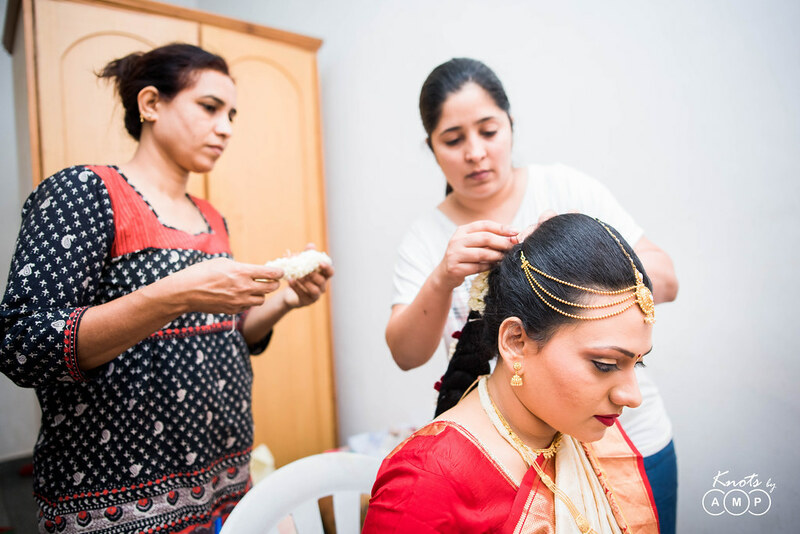 This was a huge responsibility and it made us more determined to deliver her our best. 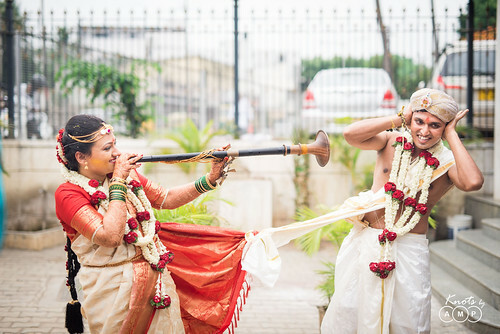 So it was decided that Anupam and Sunny would cover her wedding in Bangalore. 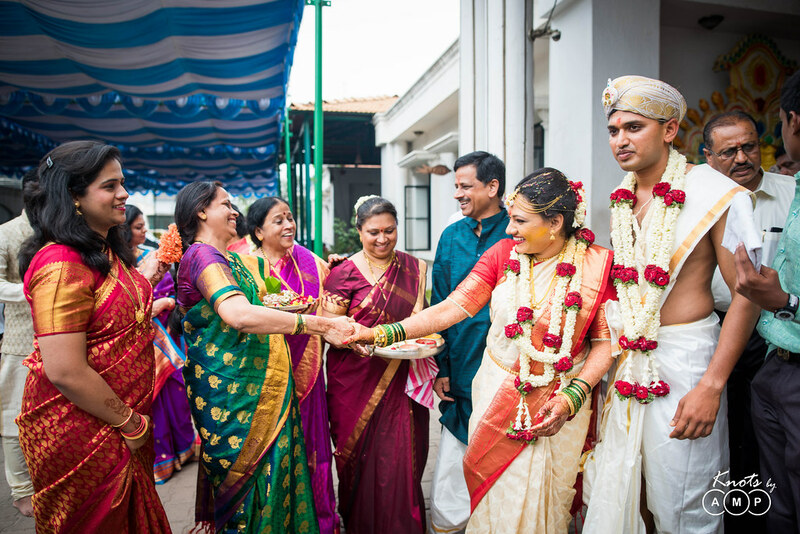 On arrival at Bangalore airport, Anupam was gripped with Nostalgia where he had spent more than 2 years of his life fresh after graduation. 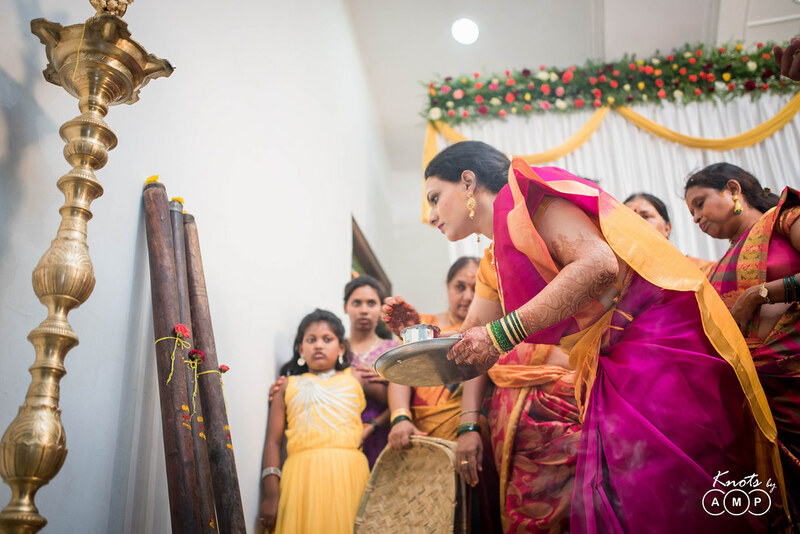 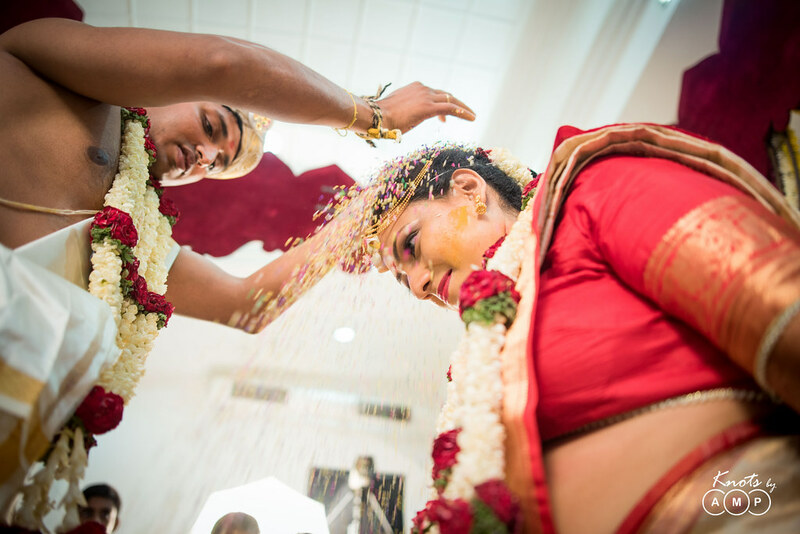 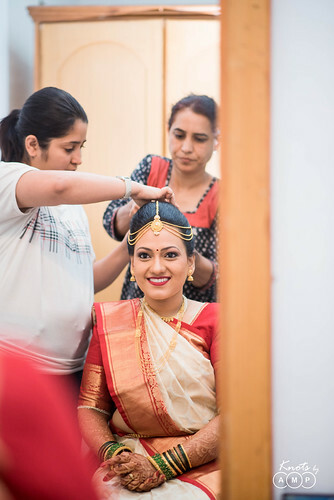 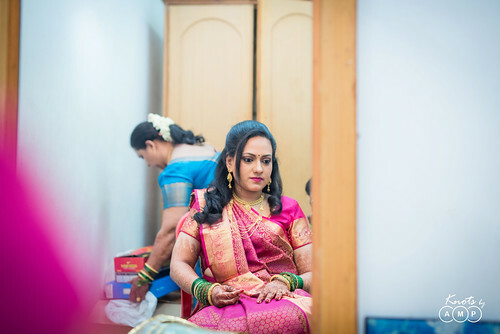 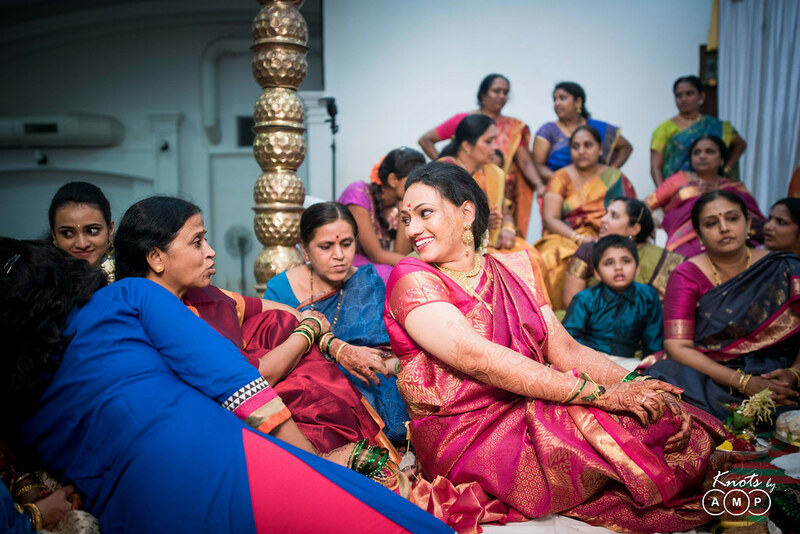 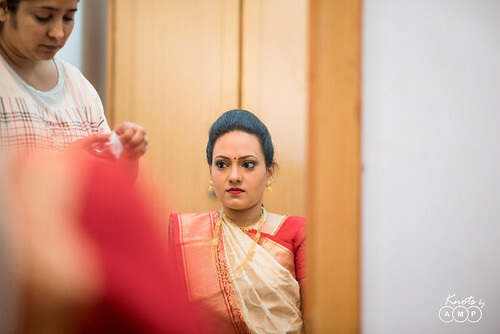 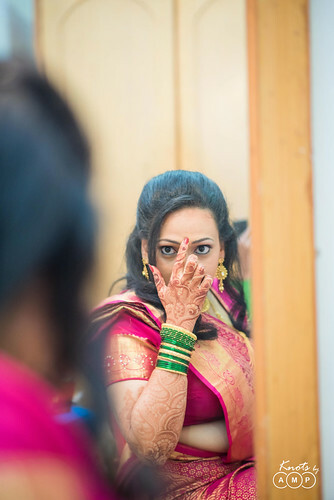 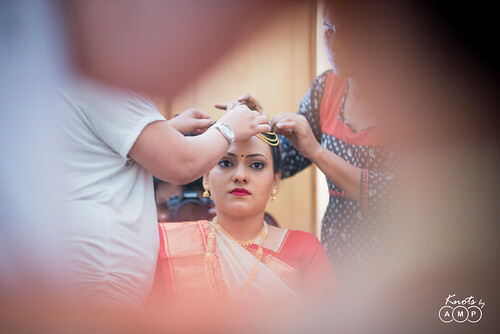 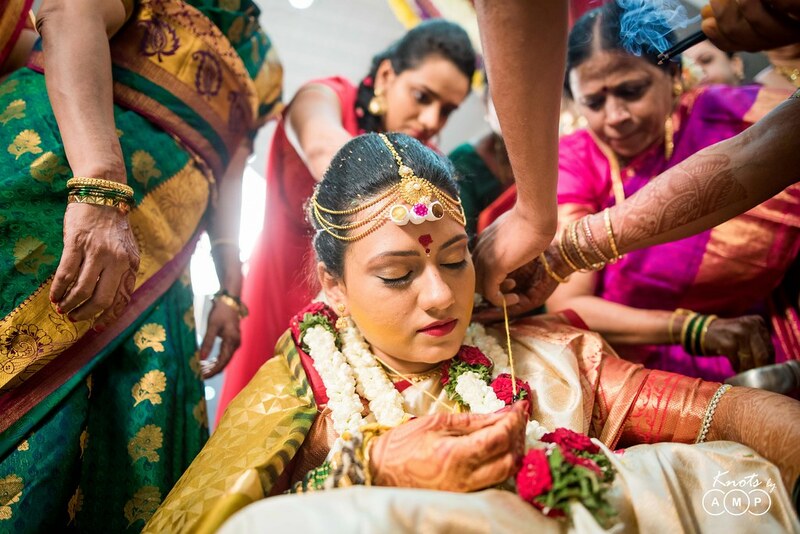 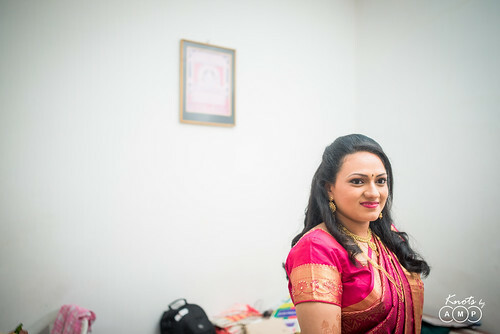 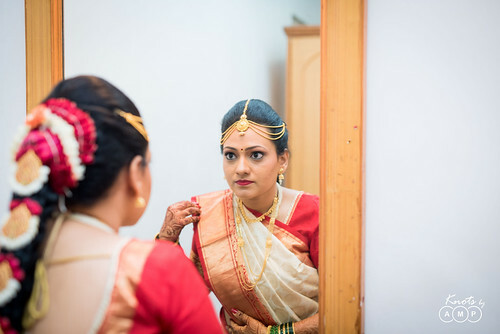 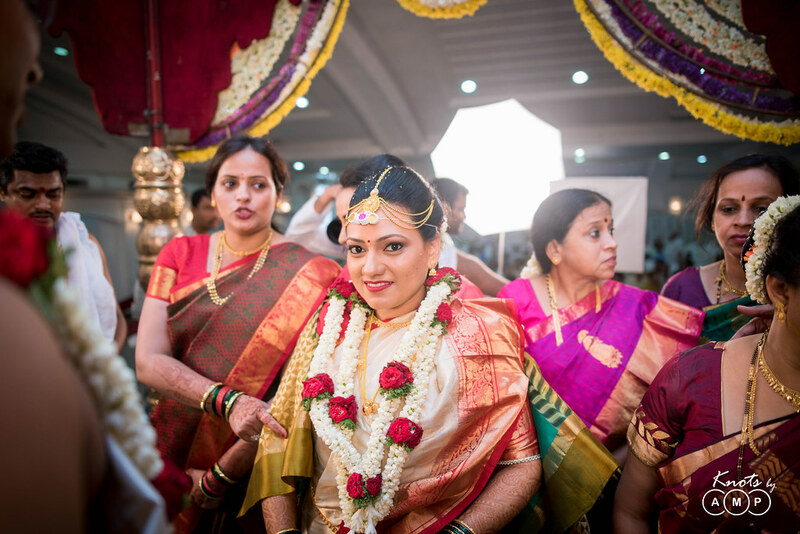 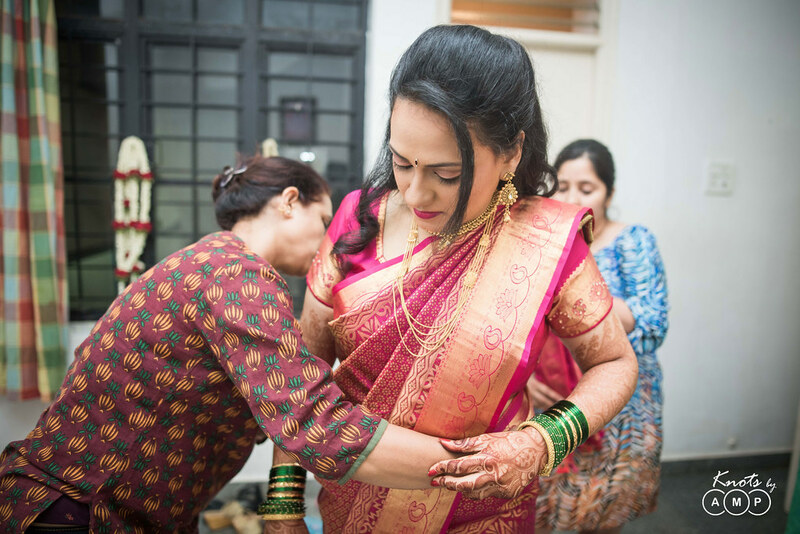 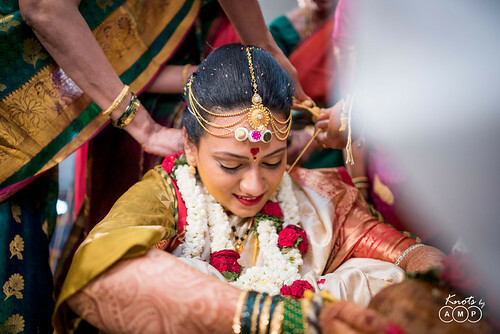 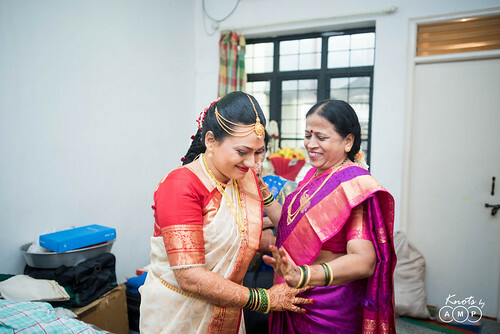 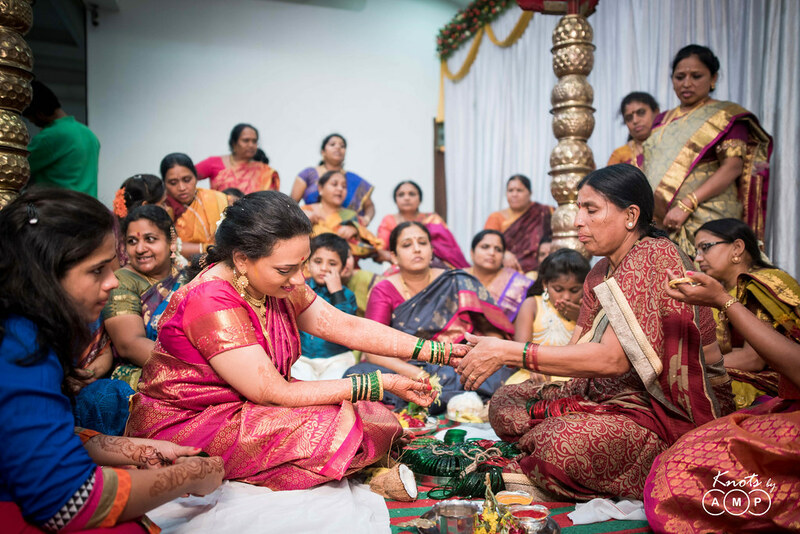 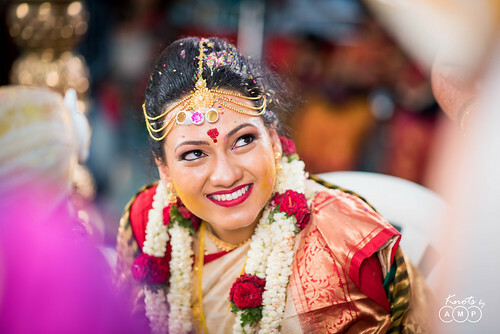 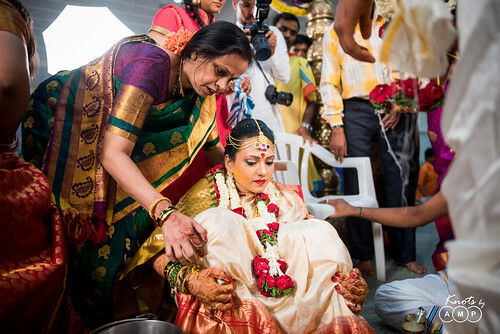 When we arrived at the venue – Saraswati Convention Centre at Magadi Road, Jyotika had started to get ready. 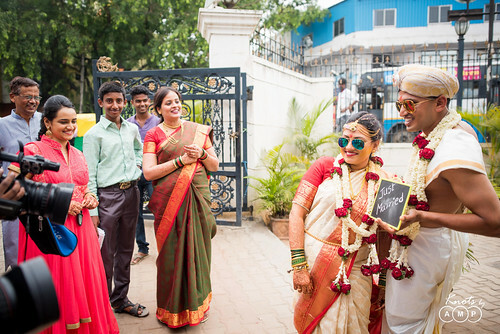 At the entrance we met her father who was visibly happy and told us that he loved photography himself. When we met Jyotika her fears were put to rest, whether we would really make it for her wedding. 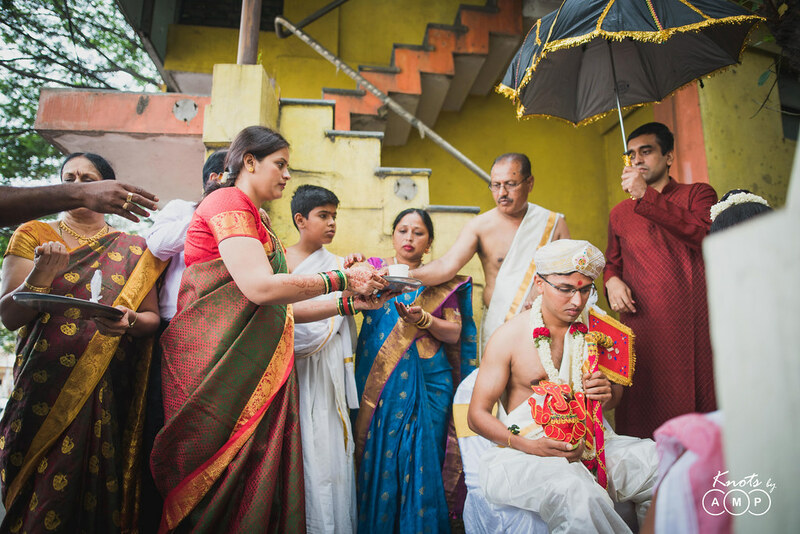 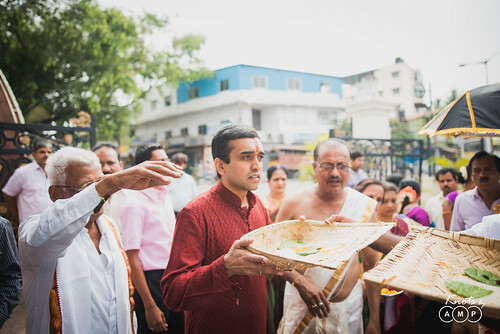 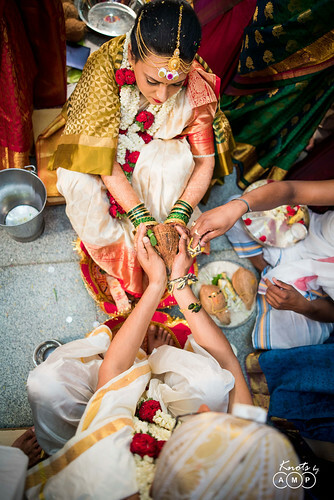 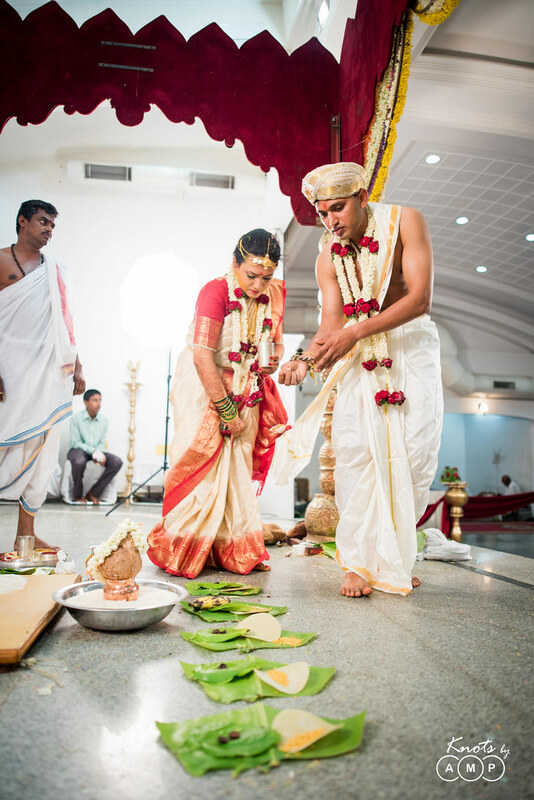 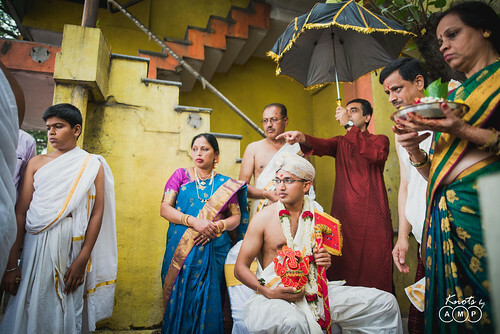 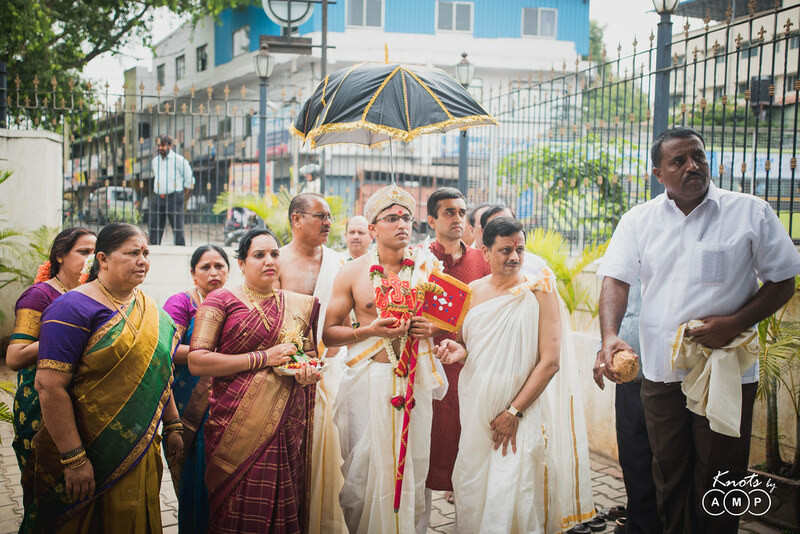 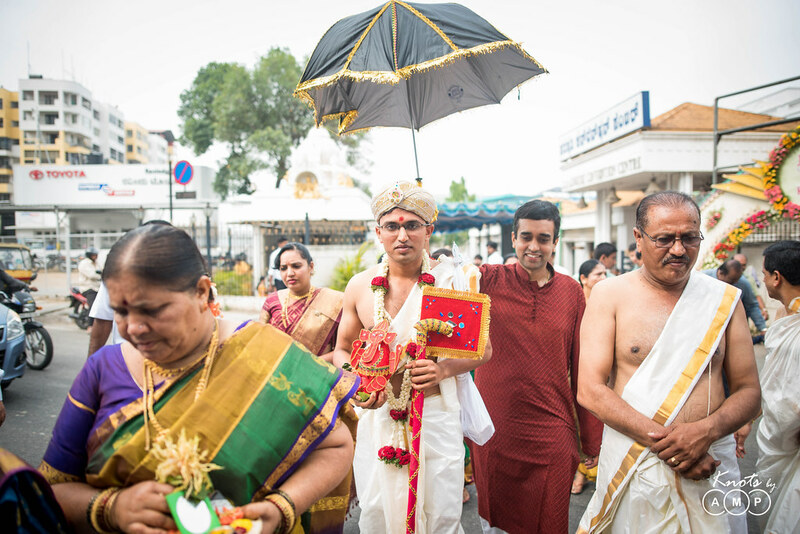 The day was set for an early morning marriage with traditional Hindu customs and rites as prevalent in Karnataka. As a matter of fact the customs on groom’s side were a bit different compared to the bride as they belonged to different parts of the same state. India’s diversity in culture is clearly evident in its weddings. 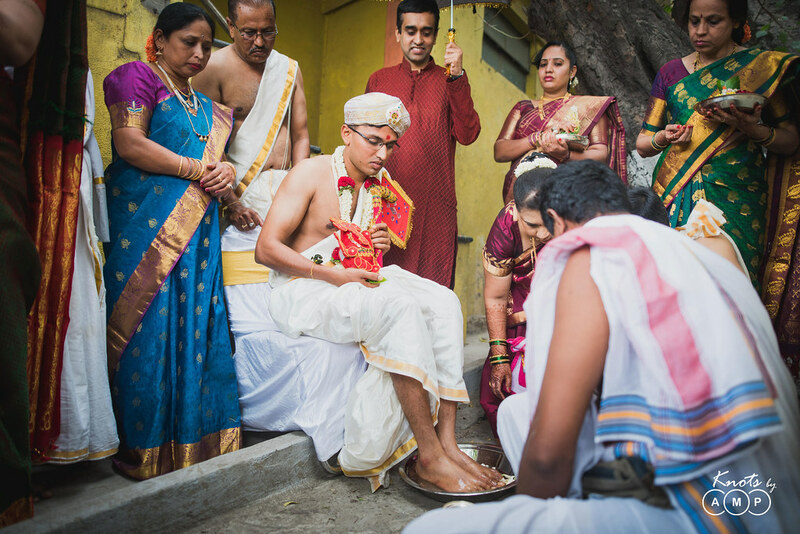 Every place has its own set of customs and traditions and it also depends on the community to which one belongs. This very diversity makes our job as documentary photography so interesting. For all its diversity the common threads of similar beliefs are also well reflected in many customs – for eg. Kashi Yatra, Kanyadan, the Pheras, the Promises, Mangalsutra, Antarpat etc. Our experience with the richness and diversity of Indian weddings can very well form a good subject for PhD research. 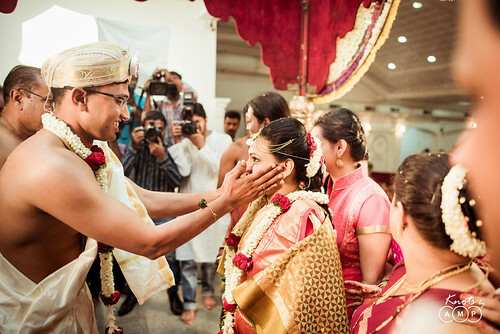 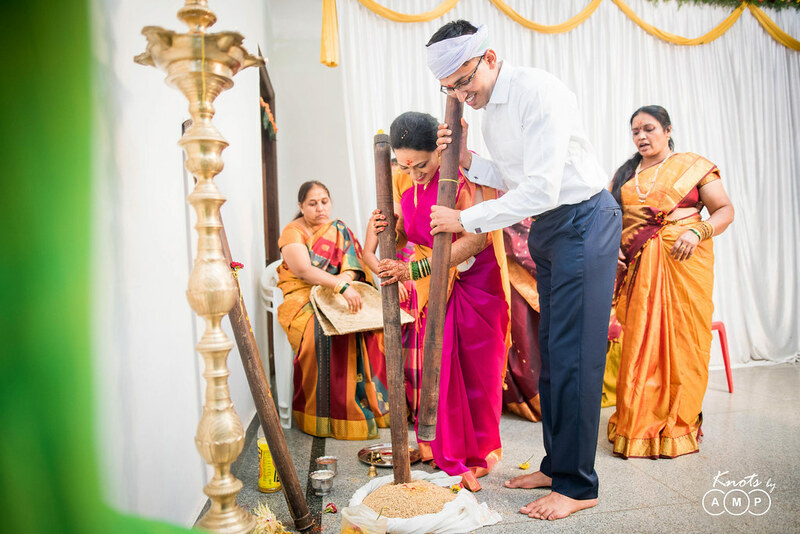 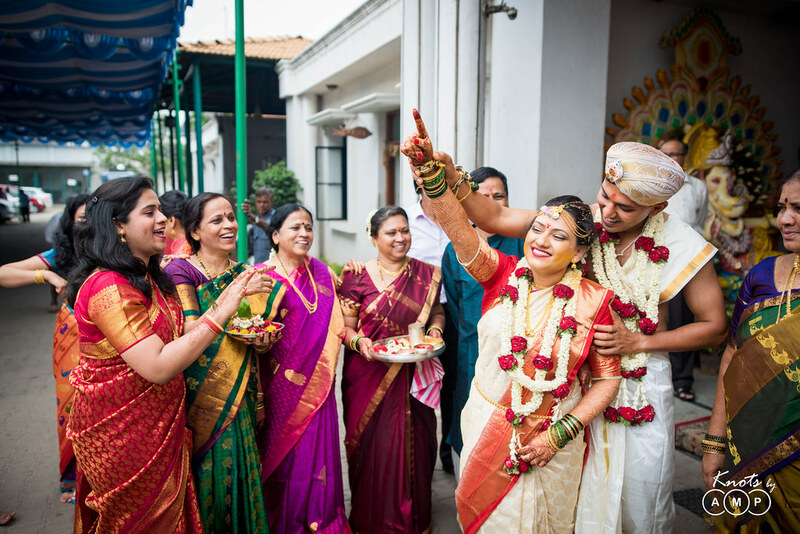 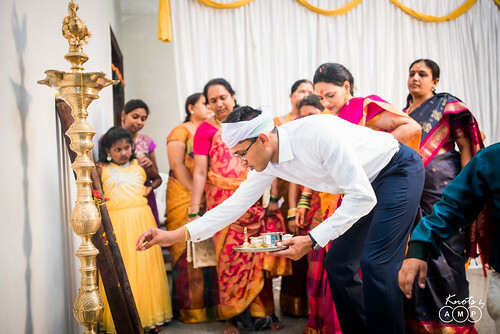 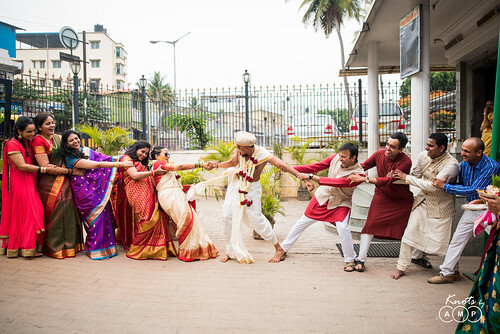 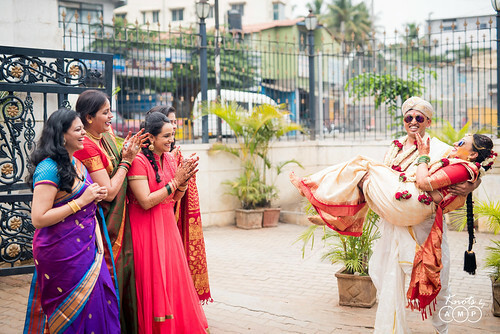 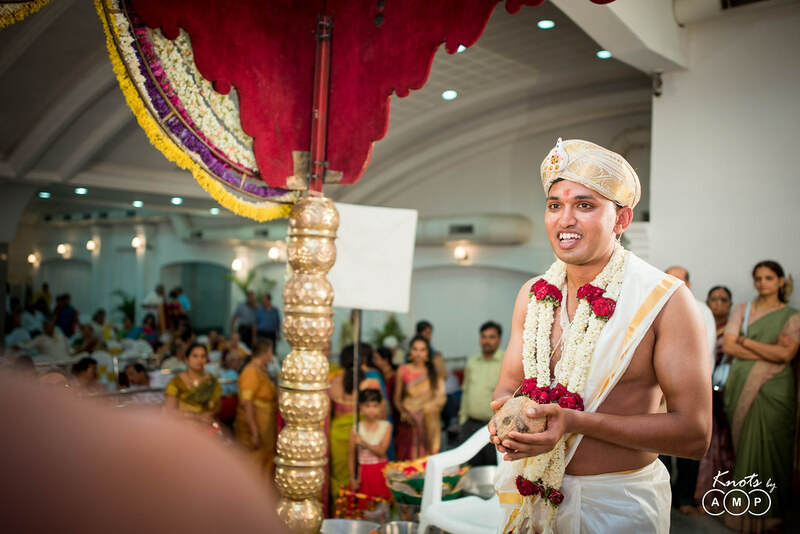 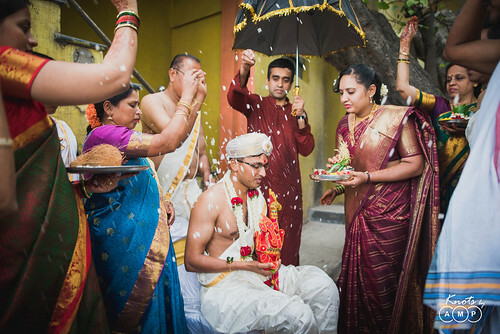 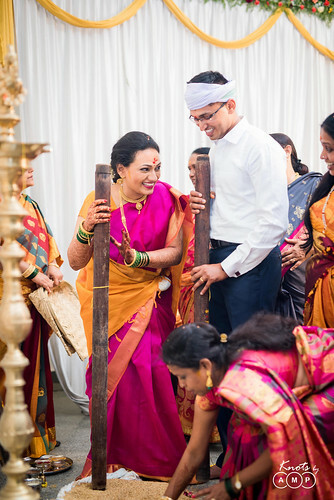 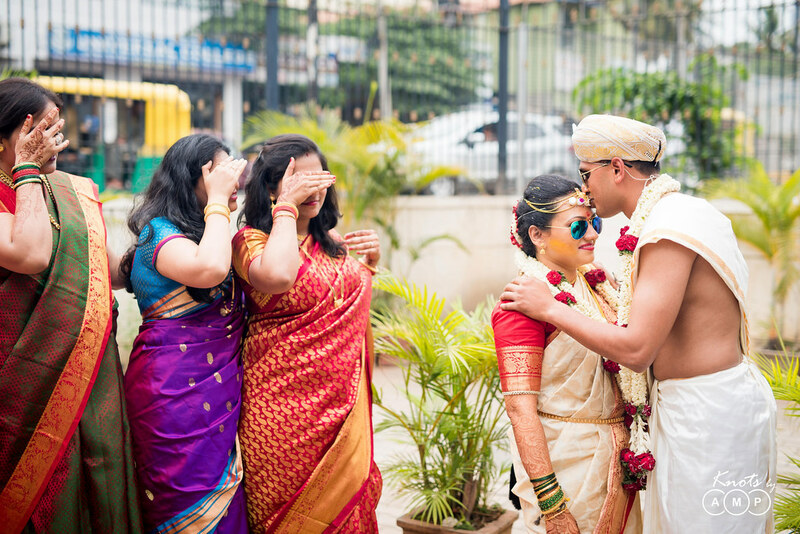 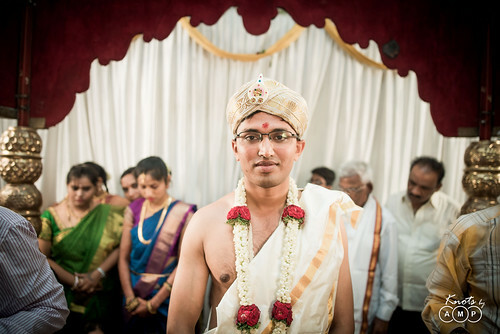 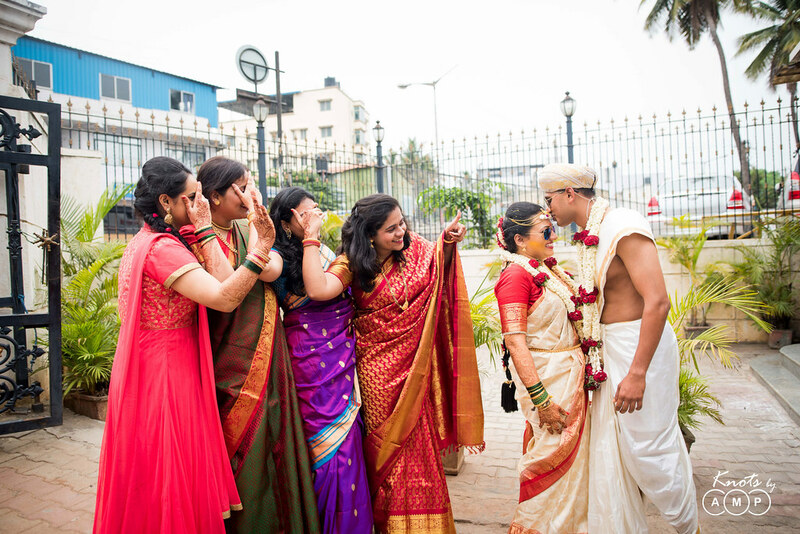 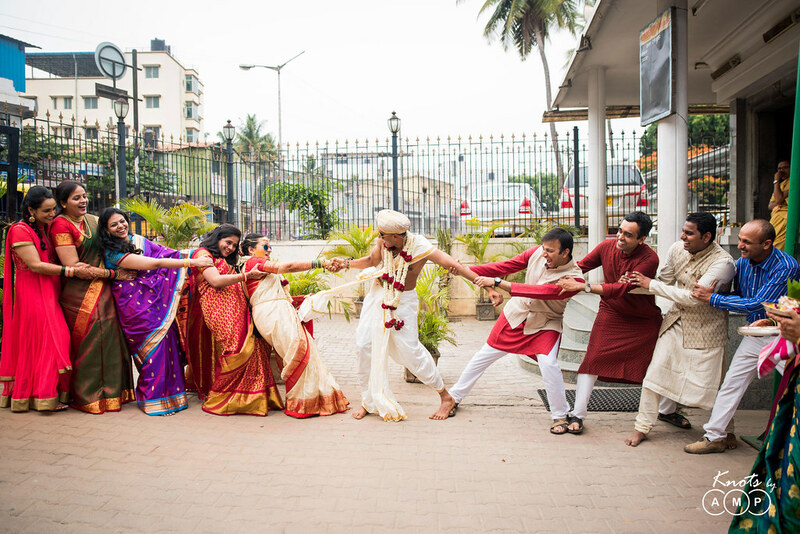 Like all Indian weddings there are a number of functions that happen in a Kannadiga wedding. Jyotika chose to wear different Kanjeevaram and Silk sarees for her functions adorned with elegant and simple Gold jewellery . 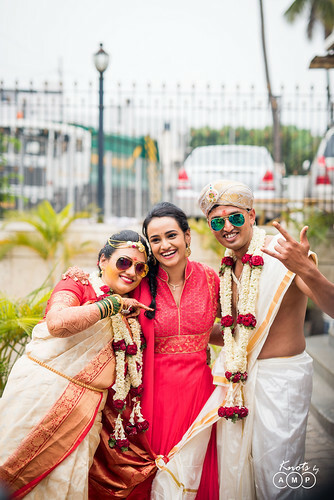 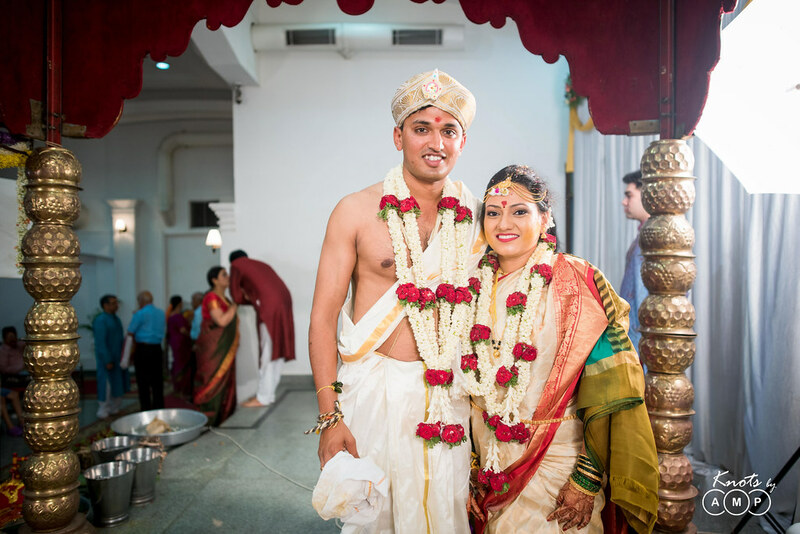 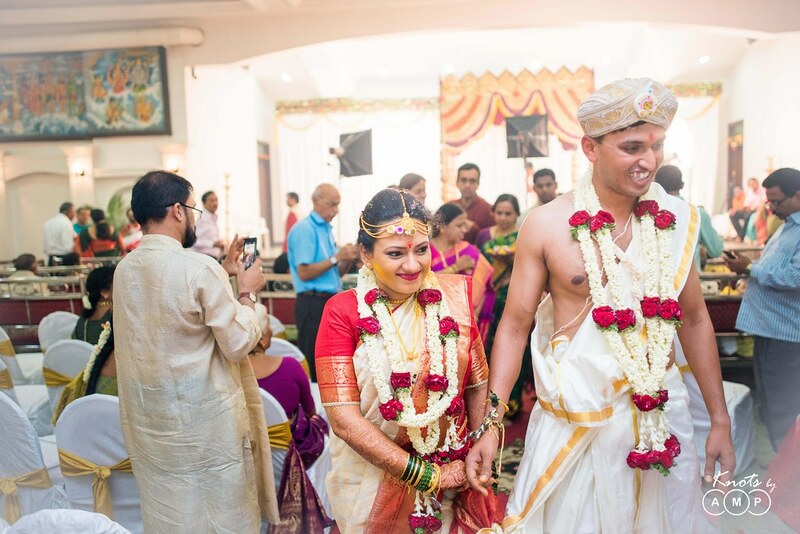 For the wedding she looked splendid in a cream white and orange Kanjeevaram while Ravi looked every bit the proverbial tall, dark and handsome in the traditional silk dhoti with zari border with white and gold pagdi. During the fun couple shoot the ladies quipped to see his abs which made him blush. 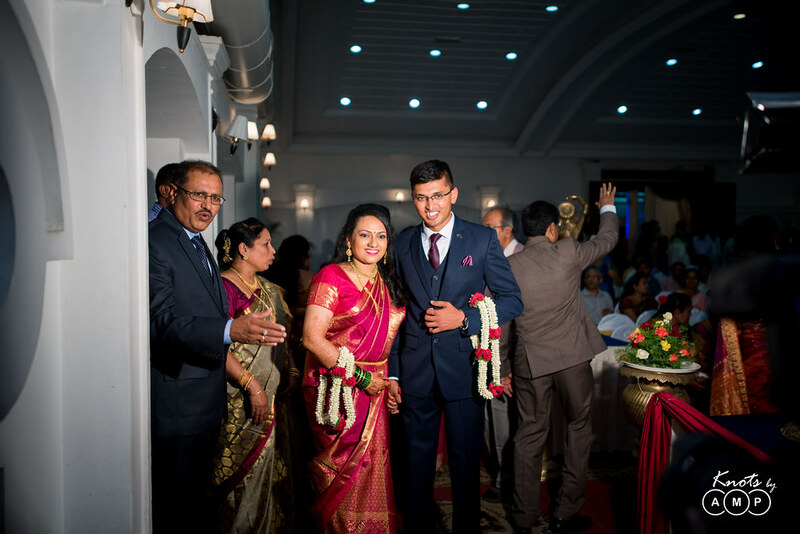 As it was a early morning wedding we were happy to start the day early with beautiful early morning hours perfect lighting for photographs. 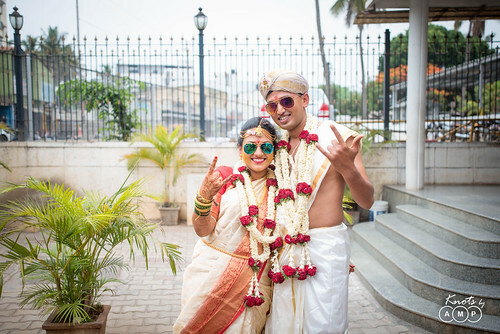 We had great fun shooting their wedding and photos came out just as kickass as we had hoped. 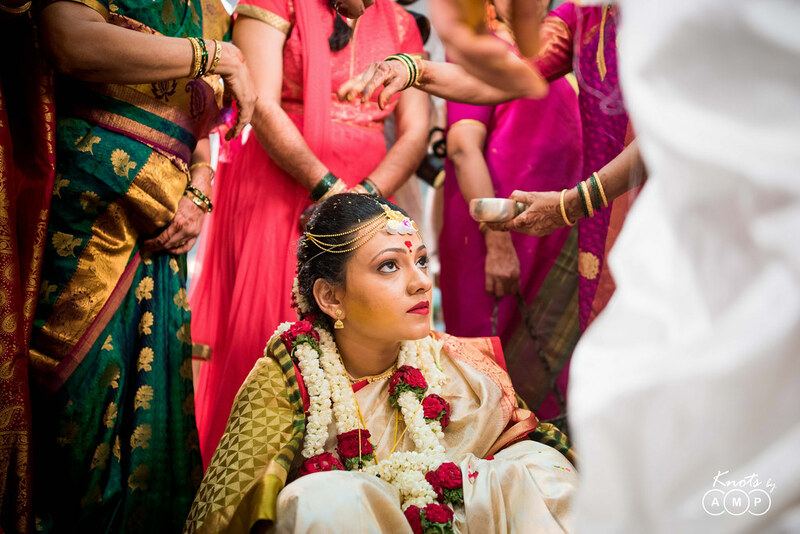 We tried to keep the photographs as documentary, candid and non intrusive in nature as we could and we hope you like them. If any of you is getting married in Bangalore and would like to hire us, give us a shout. 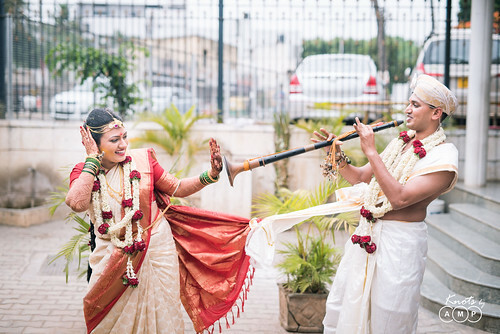 We are in absolute love with Bangalore and its culture. 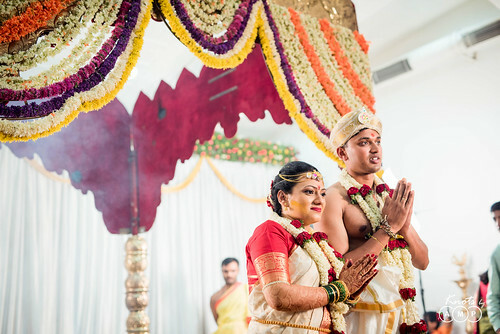 In August we would be covering one more wedding in one of the most beautiful venues of Bangalore for weddigns — Ganjam Mantapa, near Bull Temple. 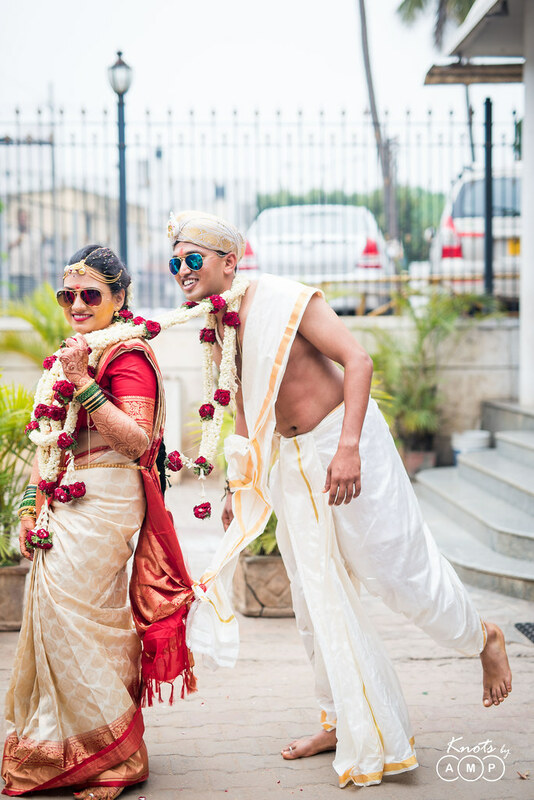 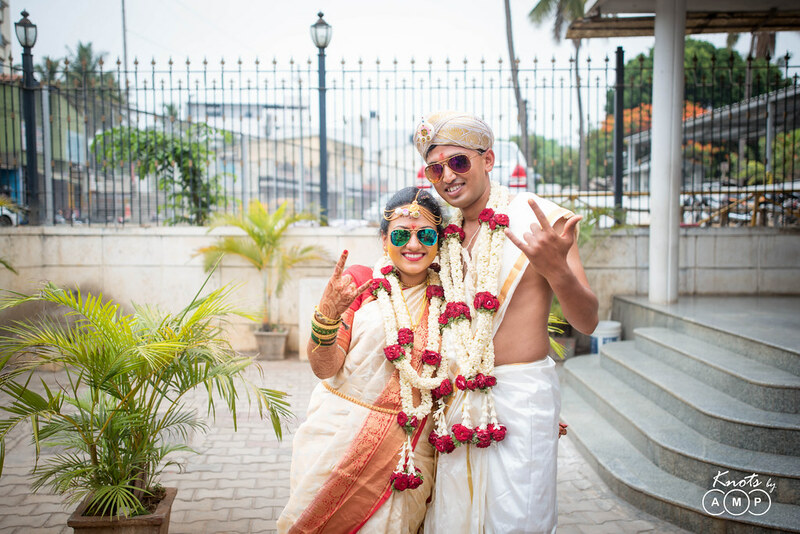 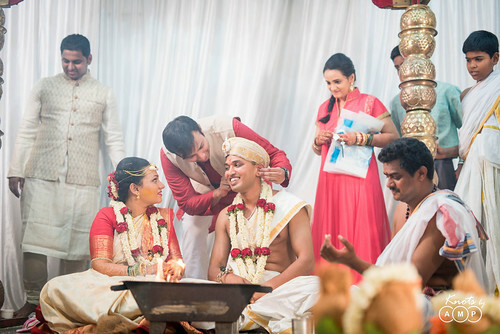 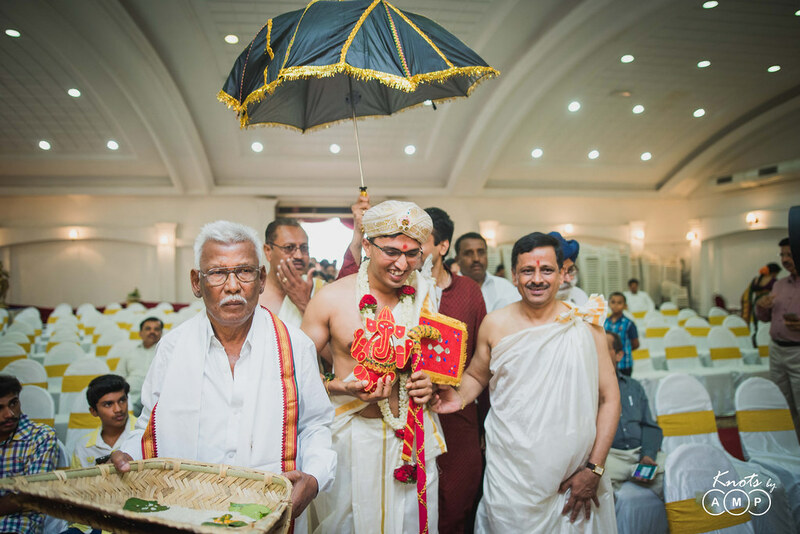 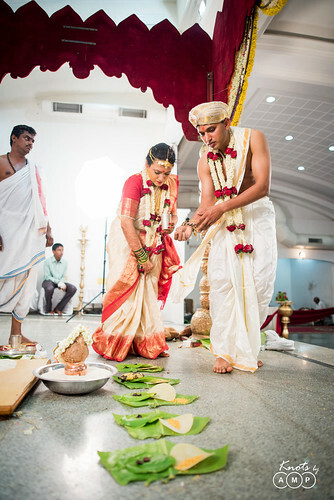 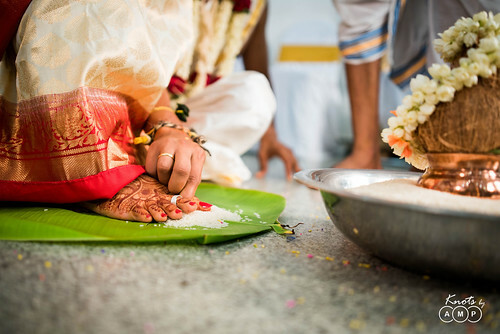 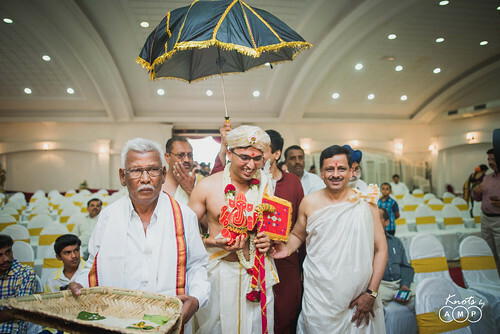 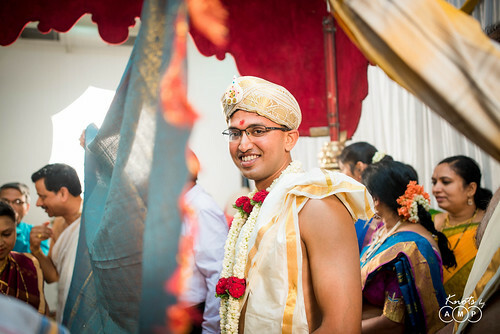 But for now just experience the photographs from this elegant and simple South Indian Wedding and let us know in the comments how you find the photographs.